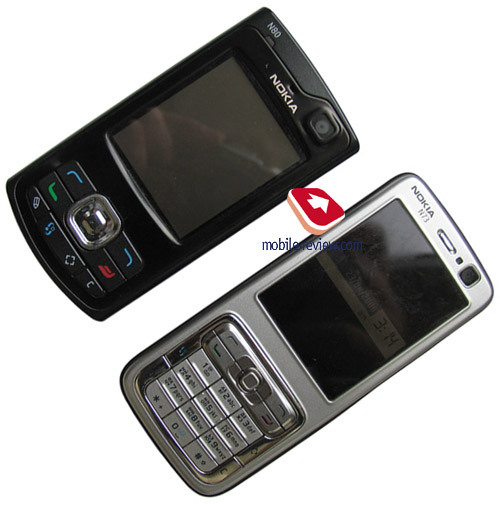 The segment of “multimedia computers”, as Nokia calls its Nseries-branded handsets, has always brought in income owing to less feature-packed models, namely phones bearing N7x index. The explanation lies in price and certain conservatism of smartphones-lovers, who usually prefer balanced and well-tuned solutions to gadgets sporting “flagship”, “market’s best proposal” or other titles. The share of so called techi doesn’t change much from market to market or with time – only these enthusiastic users can willingly pay really much for better implementation of certain features, whereas the mass market behaves in a different way. As a result flagships are mostly high profile devices, for example Nokia N93 focuses on video, and the N91 is an outstanding music phone (however in reality the company tries to sell the hard drive in the N91 rather than its music capabilities). Coming down a step, we see how N8x-solutions are aiming at meeting requirements not only of techi, but also those keen on all-in-one devices, which can show off almost each and every available feature, even though most of them won’t be of much use. If you come and think of the Nseries line-up as of a pyramid, the base will consist of N7x handsets, the middle – of N8x and N9x will crown the product line. The company even made a special statement, in which it emphasized that the N70 had managed to claim the title of the market’s most successful UMTS-device and become the company’s income generator. Answering the “Why?” question is really simple – Nokia has forged the today’s market of smartphones and shaped it in the way wee see it, so by redistribution of efforts in this field, it’s able to profit from any solution in its portfolio. For the time being handsets outside the Nseries line-up are non-existent in terms of commercial success (the exceptions are Nokia 3250, Nokia 5500, both devices generate good sale rates in their niches). And so happens that the most widely-spread handset is Nokia N72, while Nokia N73 is destined to make big noise and forge into the lead in Nseries (spec sheet, price/quality ratio and the company’s margins). 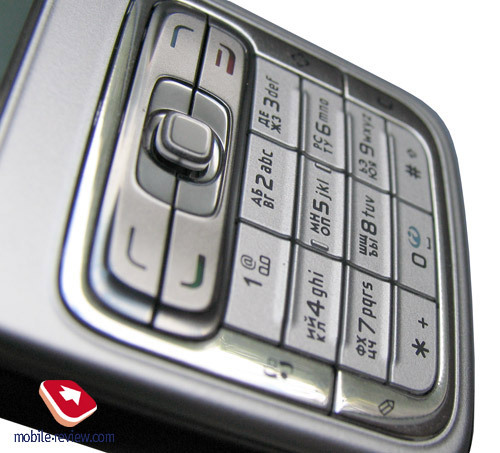 As a matter of fact this device is more likely to get in one row with long-lasting handsets – the features found in the N73 will actually materialize in the devices which will be released in the yet distant year of 2007. What’s I’m going to do now I call “Lyrical digression or observation on handsets positioning”. When Nokia announced the Nseries in the first place, it limited itself to a finite volume of this product line by assigning two-digit indexes and, on top of that, starting with the higher ones. Today we might witness announcement of N6x devices, which in fact will be the most simplified smartphones targeted at the mess market and promoted with all due pomp. At the same time advent of N5x series is not as impossible as it would seem, since it puts special emphasis on the very concept of feature-packed smartphones (all-in-one devices). Should Nokia go on at its current pace of announcements, the existing index potential will run out in 3 years, and that will mean either the need of changing the course or reconsidering the current state of affairs with positioning. The latter option is less probable, since it will provoke heated debates (for example extending the base index to three digits), thus at present changing the concept and introduction of a new device series might be Nokia’s next step. 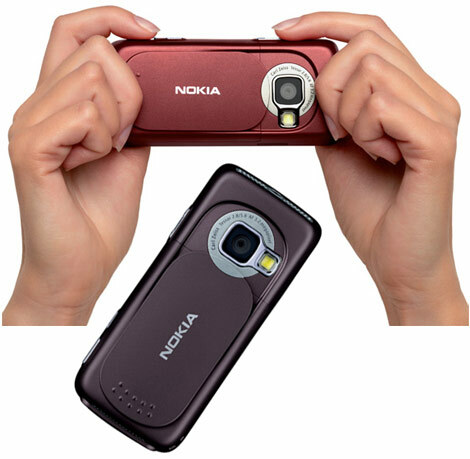 Over at Nokia they tried to boost the N73 using various technologies so that it could not only impress end-users on imaging front but also offer fair basic functionality. The aim at the mass market has eventually resulted in three different trims - Silver Grey/Deep Plum, Frost White/Metallic Red, Frost White/Mocha Brown, however all they have only the rear and sides painted, while the light front plate remains almost untouched There is not much of a difference between two color schemes (Deep Plum, Mocha Brown) – it’s more about color tones. On the other hand the Metallic Red stands out against the background of its companions and will sure appeal to women. Hereafter the market will see launch of a black edition – whether it will be only an addition to already released trims, or a limited offering materialized owing to another promo-action, we do not know. The smartphones by Nokia are getting smaller with every release, and this case isn’t an exception – in fact, it’s the apex of miniaturization of smartphones incorporating QVGA screen. Today only Nokia 5500 can overcome the N73 dimensions-wise, but it still yields to the latest N7x’s offspring when it comes to display. 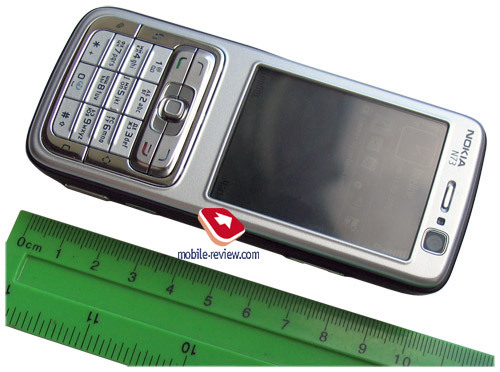 The Nokia N73 measures 110х49х19 mm in size and weights 116 grams. In future the dimensions in this series will vary within the limits of these sizes, further reduction won’t take place. 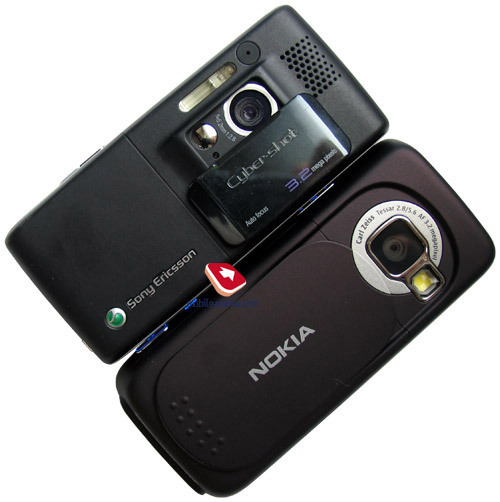 If we are to draw a parallel between ordinary handsets retaining comparable functionality, Sony Ericsson K800i, for example, measures up at 106х47х21 mm in its thickest camera part (the rest of casing is 18 mm thin), weight 113 grams. Although there is a difference in the dimensions between these two devices, don’t think of it as a huge gap – all in all, the handsets feel pretty much the same size-wise. The model’s display boasts a diagonal of 2.4 inches (37x50 mm) and capable of showing up to 262 colors (TFT) at a resolution of 240x320 pixels. Exactly the same screen is adopted by Nokia N71 and there is no wonder in that: it looks and feels great, has the right proportions. It’s interesting to know that VGA screens will use comparable diagonals – the platform is being turned nowadays, so that by the time these displays hit the market it will have been ready to operate with them. The picture on the N73 looks fine and allows for no criticism. Besides, the display is armed with a translucent metallic substrate, ensuring that information on the screen will remain readable even in the sun – it’s a signature of the models retaining to the latest generation. The building quality appears very good just until the moment to put your fingers on the back cover with an integrated lens shutter. At the left of the latch there is a cavity, which makes the entire casing groan and crack even at slightest touches. That’s the worst thing about the N73’s assembling quality and it’s almost impossible to deal with without special tools - foam-rubber or other soft material laid under the cover doesn’t save the day. The area atop the display features a forward-facing VGA-camera for video calls in 3G networks; however it may deliver photos of self as well. Right next to the that camera you will find a light sensor, automatically adjusting keypad backlighting brightness and turns it off in case the illumination level is sufficient, this sensor also houses a Bluetooth indicator lamp. 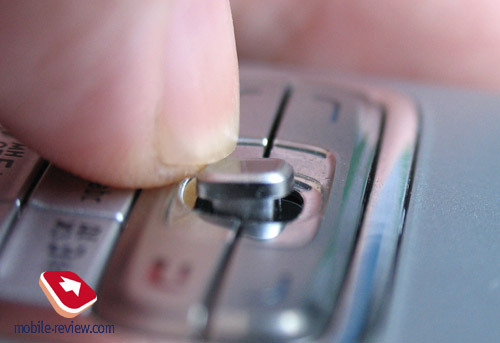 The keypad found on Nokia N73 is beneath criticism – it occupies the bottom end of the handset and moreover proposes congested numeric keys area. 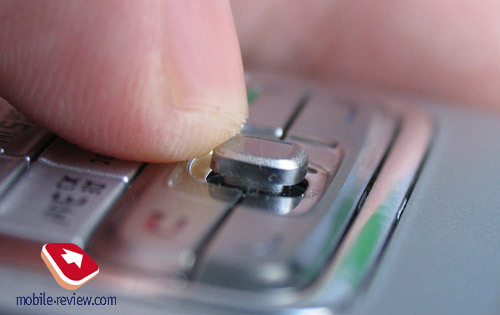 Nevertheless managing the phone single-handedly is still possible, yet awkward to a high degree. 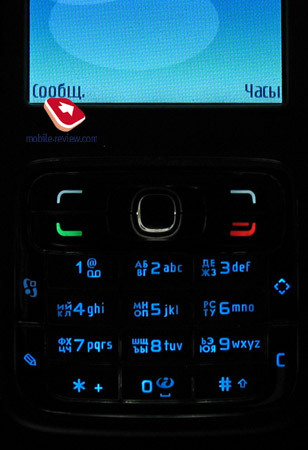 Thus the keypad receives “below average” mark for ease of use due to functional keys (menu, edit, C, Multimedia) edging the keypad (similarly to Nokia N72), which might proved to be unhandy. The buttons are lit in blue, it provides sufficient level of backlighting for almost any environments. 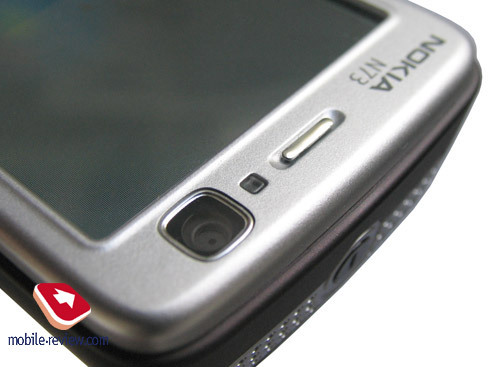 The Nokia N73’s joystick gives one more cause for lashing the handset’s ergonomics. It is considerably drowned inside the casing, so that your experience will be not even unpleasant - something worse. As far as I remember not a single smartphone by Nokia has carried such mediocre joystick until today. 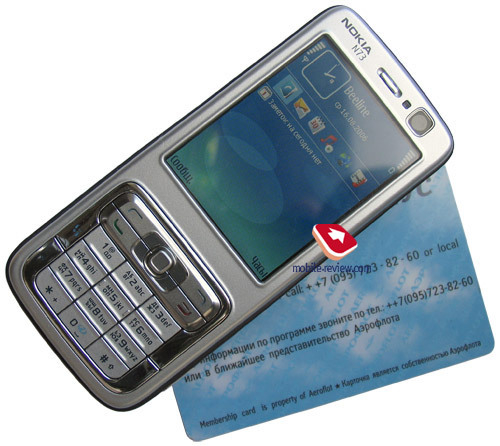 Keeping in mind the fact that a smartphone without a touch-screen leaves you only one way for data input, which its keypad is, we can rightfully say Nokia N73 is by no means on top of the hill – it’s a fast tool for communication via SMS or e-mail. In light of these issues regarding typing, looking at the N73 as a capable “multimedia terminal” makes some sense. And apparently Nokia realizes that, otherwise how could one explain that the Accessories for N73 feature an external Bluetooth QWERTY-keyboard? Nonetheless I don’t want to lay it on thick – users have already experienced and gotten used to Nokia 3650’s circular keypad and two side rows of buttons on Siemens SX1, against that background Nokia N73 appears to be quite conservative. So in the end people will accept its keypad even though it’s not very convenient. The left side houses Infrared window, the holes for a carrying strap are located more towards to bottom end. The slot for miniSD memory cards is mounted on the lower rim; it’s protected by a mechanical flap. And since the stub can be lifted up from the direction of Pop Port connector, the N73 has the support for how swap feature. 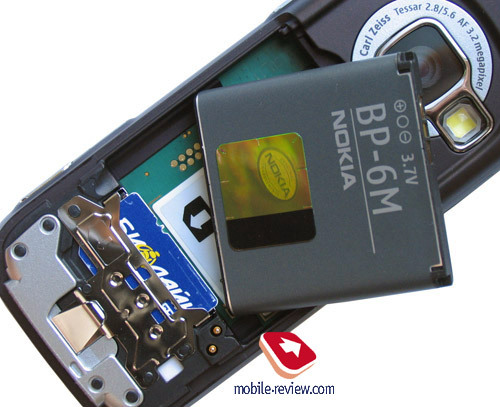 As far as we know, the handset can handle any memory card in terms of size – we experienced no problems with a 2 Gb one. One of the N73’s remarkable features is presence of two speakers allowing you to experience stereo sounding. Till recently such capability for smartphones had been only an unrealistic dream (HTC Wizard had more of a raw prototype in it in this regard). Nokia is planning on embedding stereo speakers in a number of models powered by S40 and S60; in fact the promise was fulfilled in Nokia 6233, where one can find stereo speakers as well. 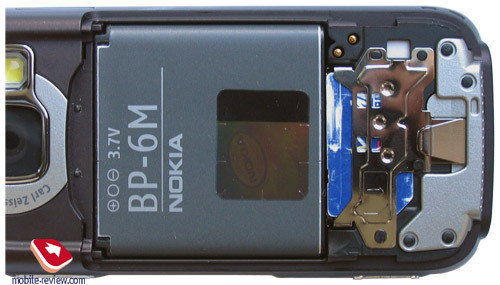 Due to layout of controls and other parts of Nokia N73, the speakers settled down on the top and bottom rims respectively. Indeed, it was impossible to mount them on the side plates similarly to Nokia 6233, as that space is occupied by the camera module; furthermore, locating them a little lower would mean that user would cover them with his hand. Now a very important note – every human has his ears located horizontally, so the sound perception differs very much from vertical arrangement. Owners of Nokia N73 can carry out a simple experiment to find out what I’ve just talked about: start playing back Seahorse.aac tune and hold the handset in your usual manner. Now turn it by 90 degrees – you will sure notice that the sound has become more penetrating and rich, and actually you can hear two speakers at a time. 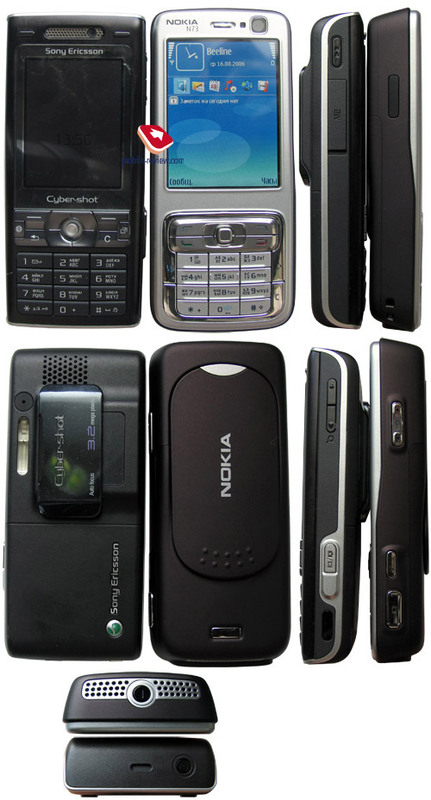 Therefore when holding the handset in a common way, you will hear only one loudspeaker; no doubt it could be all different, in case Nokia’s engineers incorporated special software settings, but then horizontal mode (for video playback) would have become useless. And individual setting for each mode might be refused by end-users. So it turns out that the volume is quite high owing to sound spreading through two speakers and on top of that it sound penetrating, unless you face it off against Nokia 6233 of course. 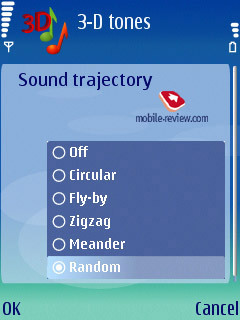 And once you listen to a tune on Nokia 6233 and then on Nokia N73, the outcome of this competition will be pre-defined. Thus the conclusion is obvious: this very model cannot boast stereo sound due to certain hardware limitations; it seems Nokia is setting up the base for upcoming solutions; however in return the N73 offers very high ring tones volume. The Application item contains 3D Tones, allowing you to enable 3D ringing tone effects, apply various sound trajectories, and reverberation. And to the developers’ credit be it said, these settings do have influence on the sound, but on the whole it’s just another marketing move, as majority of users don’t pay too much attention to how amplified the handset sounds – they rather focus on call itself. To prove that we carried out a survey and according to the results most people don’t notice any striking difference between default sounding and 3D Tones. Lithium-Polymer battery is located under battery cover its index is BP-6M with 1100 mAh capacity. According to manufacturer it is capable of providing up to 370 hours of stand by mode performance in UMTS-networks (350 hours in GSM) and up to 4 hours during phone calls. In case you are an active user, battery will last for one day (a day spent for 30 minutes of Internet, receiving emails several times, up to 20 minutes of other functions being in use and one hour of phone calls). 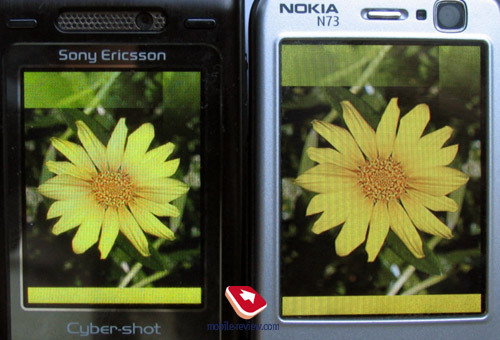 Handset is clearly better than Nokia N80, it gives an approximately 30% performance boost. In case you are using handset moderately its performance time will be around 2 days, it is hard to reach more than that. Handset worked for 12 hours during constant music playback. It takes more than 2 hours for battery to charge up completely. Model is based on traditional TI OMAP 1710 platform (only N93 is using new platform) this makes it related with other handsets; processor frequency is 220mHz, there are 20.5mb of RAM, and user has around 42mb of memory for his needs. All data can be stored on memory card. 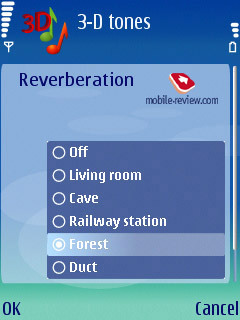 Unfortunately there is no A2DP support, this means that you cannot listen music via stereo Bluetooth headset. One of interesting peculiarities is USB 2.0, which works at full speed, this provides nearly 800-850kbit/s speed when data is transferred during USB Mass Storage mode. This speed is nearly 2x times faster than in previous models. However we still have no USB charging. 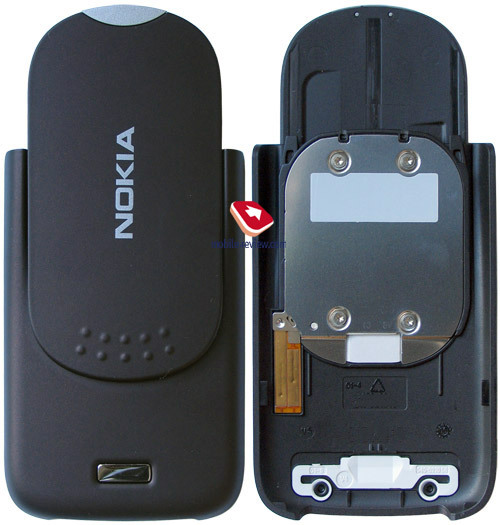 Handset fully supports all music accessories including: adapters for connecting custom headphones, remote controls, including one shipped with Nokia 3250. Sound is pretty good, similar to other smartphones based on this platform. This is an average handset in terms of music solution product, it has no improvements in player’s organization, which seems to become typical for company, it prefers singling out music products into different segment. One of interesting parts of this handset is introduction of new slide-show mode in gallery, it can be launched by holding corresponding key on side of handset. When transferring from one picture to another you see zooming effect, you can also select any ring tone or mp3 file that will be launched in background. Gallery is always displayed horizontally, it is slightly hard to master at first, especially in case you have a lot of files and you’re looking for one specific. Creating custom albums and moving all photos into them can come up as a solution, but this method will not suit everyone. Timeline viewing option as in Sony Ericsson phones would fit this handset by 100%. When viewing every image alone you will be able to quickly send them to printer or add to special printer bucket. As additional applications you can find “Snake” game and antivirus (in reality you don’t need it just yet, read more about it in our article about E-Series software - /review/nokia-eseries-soft-en.shtml). Another thing that should be pointed out is full version of Quick Office (allows working with office files, this software is really nice to use), as well as PDF Viewer. This is where application list comes to an end. All other apps are standard. Let me remind you again that you can read review of 3rd edition in order to get more information. Performance is weakest part of this device, it loses almost 2x times of operation time when compared to standard handsets. This means that interface during standard settings and lack of additional applications (ideal situation) is unhurried, although calling it slow would be a mistake. Gallery opens for around 6-7 seconds (Sony Ericsson K800i requires 2 seconds), photo thumbnails in maximal resolution will not be shown instantly. It is not that this overall slowness will cause you problems in most operations, you will most likely feel that when using 3rd aprty software such as ProfiMail. At same time performance of Java-machine is very moderate when compared to last generation models from Sony Ericsson. Once again this is probably only ideally, probably it is bad, but in realty no problems were faced. It’s sad that Java applications do not always work correctly on S60, this is caused by realization of virtual Java-machine. Our readers were constantly asking us to compare these two phones and say which one is better. Such comparison will be incorrect at start as they are targeted for different focus groups. 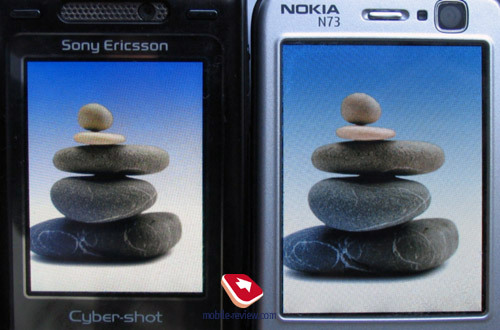 For example Sony Ericsson K800i is missing big layer of functionality as office files and pdf-files readers. This makes it less interesting for those who can’t live without such function. However on other side Wi-Fi becomes attribute for those who are using such functionality, and here is where dilemma arises. Everyone has to think for himself what will suit more. Cameras are equivalent, video recording is better on Nokia, there is slight advantage in terms of photography perception too. Sony Ericsson K800i has about 30% more battery life. Interface operating speed is about 2x times faster in case with Sony Ericsson (typical operations). 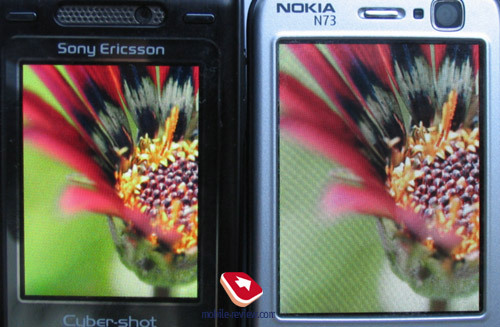 Display is bigger and better in Nokia N73. 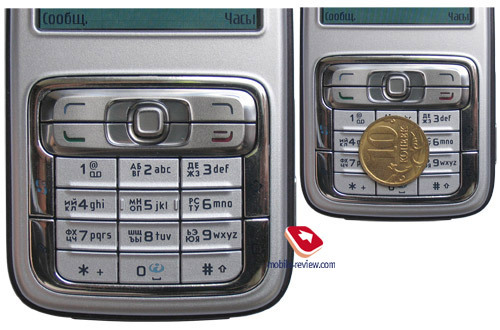 Keypad and joystick are better in case with Sony Ericsson K800i. 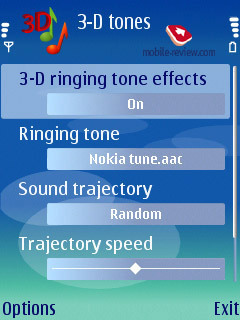 Nokia has no A2DP support, and it prevents you from listening to music via wireless headsets. Music player is better organized on K800i, sound with custom headphone is comparable in both cases. Such heterogeneous set of differences, which is not supposed to be a complete one. Our English forum has separate thread dedicated to comparison of these two handsets, it has all nuances, detailed comparisons, advantages and shortcomings of each solution provided there. Read on here. This handset has no problems in terms of network reception quality, sound in loudspeaker is pretty good, person whom you’re speaking to will hear you well. Vibrating alert power is average, handset is shaking in small trembling. Due to two speakers sound volume is perfect, handset will be heard well even when it is in the bag, not to mention your jacket’s pocket. Model will cost around 400 euros in several European countries, at same time its price in Russia will take-off at 600 USD and above (in most cases it is 800 USD). You should not expect explicit price drops in near future, its price range until end of 2006 is 350-400 Euros, and it will not come out of that. Buying such device for 700 USD and above is ridiculous. Basically you’re paying for different retail chains ambitions, you can get Nokia N80 for same amount of money, it has Wi-Fi, better display, but worse camera. 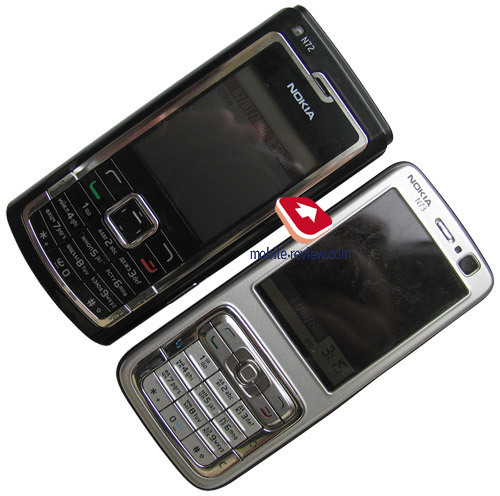 At the moment Nokia N80 is stable, which allows considering these solutions equivalent. In case we talk about possible problems in case with Nokia N73, then they are typical for S60 platform on the whole. Stability of file cache operation has been improved, but still applications can be shut down from time to time. 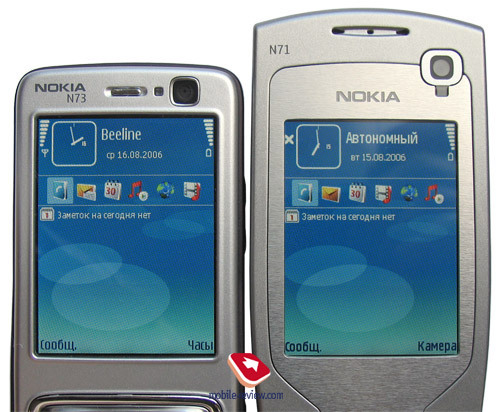 Sometimes we faced following problem on Nokia N73, after taking photos there was incoming call, but display backlight was missing, and you could not pick up the phone, only end call button was active, only solution was removing battery. There are no more or less problems in case with Nokia N73, it is typical for any other smartphone from Nokia as they share similar platform. 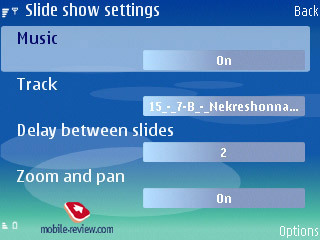 N73 is most available device in Nseries line-up, it has almost all latest developments by Nokia, and a very good camera. I have no doubts that this device will become one of most popular in Nseries line-up, perhaps it will not be able to reach Nokia N72’s sales though. In case you’re looking for quality smartphone from Nokia, then N73 will be the right choice for you. Nokia N70 and N72 models look pale when compared to N73, its elder models are too specific and most of them do not offer uber-functionality. Only serious drawback is lack of Wi-Fi support, which makes it hard to use SIP in some countries that have no UMTS networks (delays when using GPRS channel are way too big). 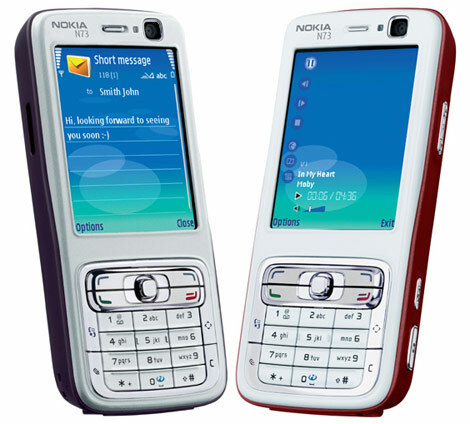 Together with RM-133 (Nokia N73-1) company had also certified RM-132 (Nokia N73-5). Difference is lack of UMTS support, GSM only. Will we ever see such model announced for public release – we don’t know, but probability is high.